Listen to your favourite songs in music player. It supports AAC, AAC+, AMR, eAAC+, MIDI, MP3, WAV, WMA etc. file types. Pls do not purchase xolo phones. I bought two xolo phones xolo A500ips and xolo 8x 1020. Both are worst phones I hv ever used. Both phones os gets corrupted after regular interval. Screen touch stops working after 6 month. After getting repairing frm service centre it stops working again in 2 months. Means you have to be a regular visitor of service centre if have bought a xolo phone. And after warranty period expires pls forgot your phone. As the charge of replacing touch screen will be almost 1/2 of actual phone cost. 1. Not at all value for money. 2. Os gets corrupted in regular period. 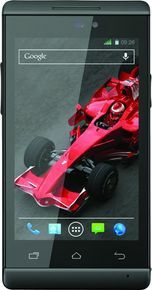 u can browse fast with this phone. if u want to attend calls, dont buy this. nobody could hear your voice. even u cant hear when ur phone is ringing. i never seen any phone with this much low call quality. I am Using this phone from last few months without any problem. This phone is fast & Screen quality is also good with nice contrast makes the image look more nice and videos more enjoyable. Battery backup is good as i use net & playing games. 3. Daylight photo quality is awesome but in low light or night very bad.